A few years ago, while on a backpacking trip in the San Juan Mountains near Durango, Colorado, I rounded a corner and stretched out before me was a massive meadow. The morning dew shimmered in the day’s early sunlight, and in the distance a faint column of smoke floated skyward from a tiny chimney poking out of a canvas tent. A pair of horses completed the scene, a vision of what camp life was like a century earlier. 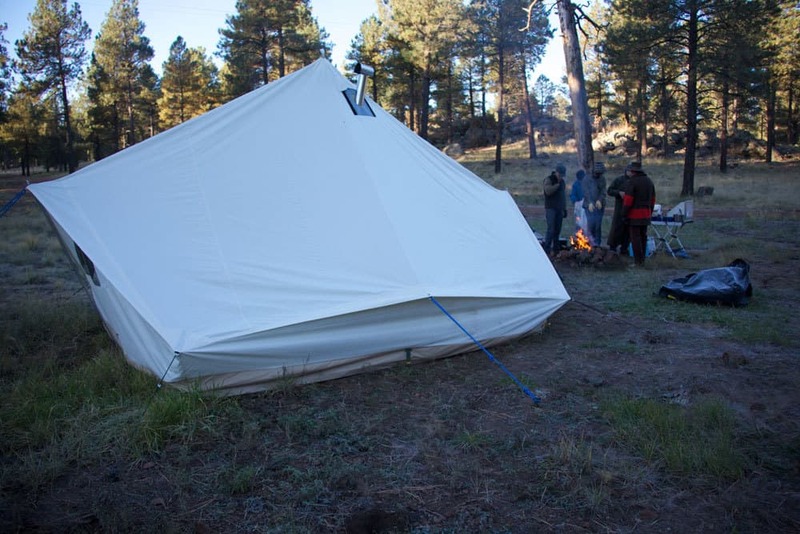 There’s something about a canvas tent that just looks right in the mountains. Maybe it’s because canvas tents harken to the golden age of camping when it was not just a recreational pastime, but a way of life. David Ellis of Durango knows this better than anyone. 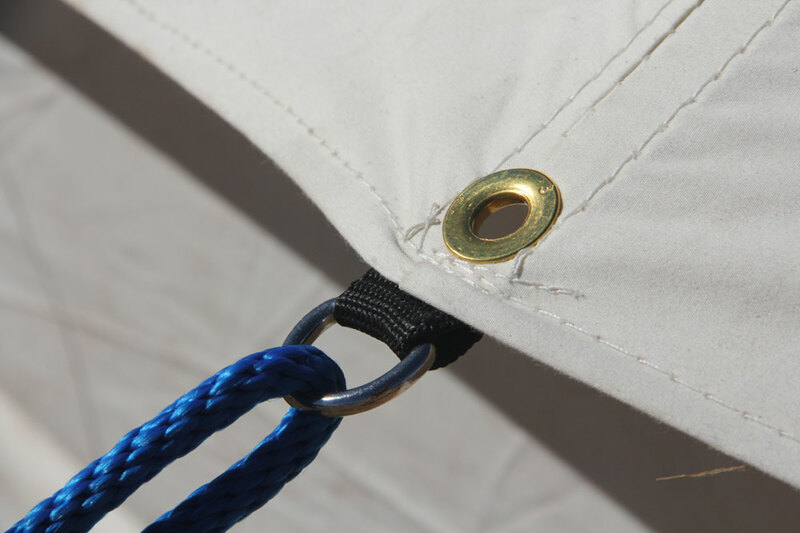 His canvas tents are a classic structures constructed of quality materials, new and old. What impressed me first was the size of the packed tent. 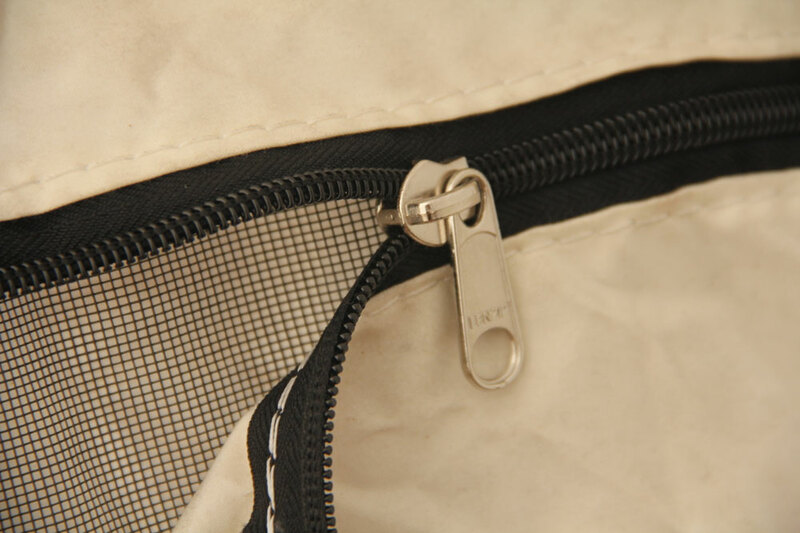 Canvas tents are usually massive things, often bulging the seams of the largest duffles. 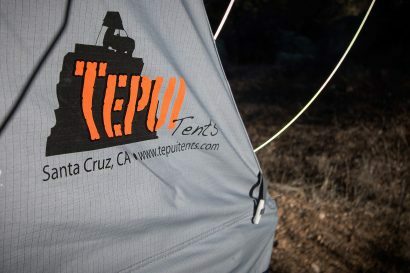 The Torrent was really only slightly larger than some of the similarly sized nylon tents we have in our own inventory. 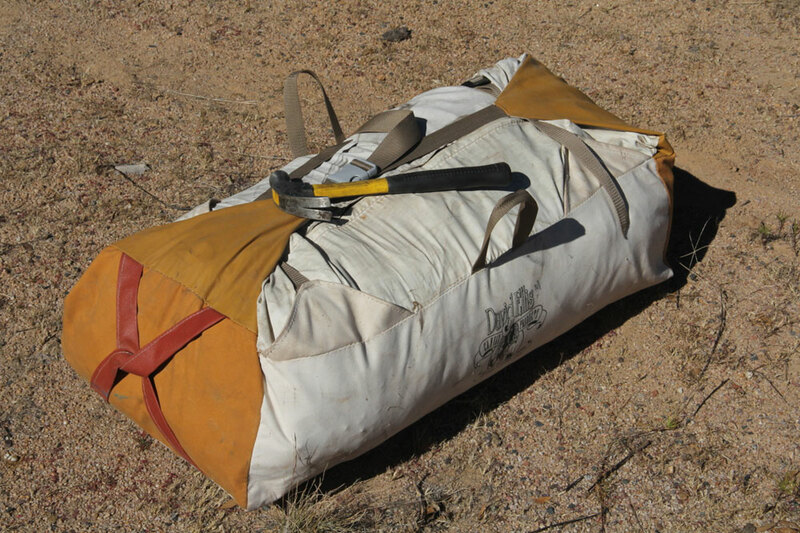 Opening the storage bag, I extracted the pole bag, stake bag, and began pulling the tent from the enlarged bag opening. It was easy to see which end was the front, and with little effort was able to align the tent on the ground as desired. After securing the primary corners with the heavy duty stakes, I readied myself to install the central pole. Being solo, I was not sure how this was going to work out. I grabbed the main pole, crawled in through the open door, slid the pole in place and wouldn’t you know it, the thing stood up strait as a soldier. A couple minutes later I had the two adjacent poles in place and began knocking in the remaining stakes. After a quick turn around the tent to secure the guy lines, the tent was fully pitched. For my first time setting up the tent, it took but 24 minutes. That sounds like a lot, but keep in mind, this is a huge tent. One of the most unique features of the Torrent is the optional mesh floor. It’s an ingenious solution to a common problem. 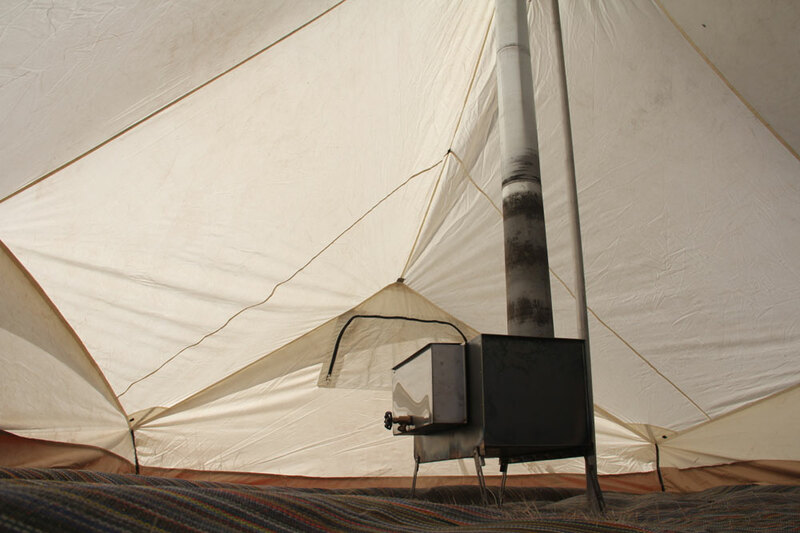 Big tents with sewn-in floors are a bear to clean, if they ever get clean. The detachable mesh floor of the Torrent allows dirt to pass through while still providing a sturdy floor underfoot. It’s also easy to rinse the floor as water doesn’t pool on it. 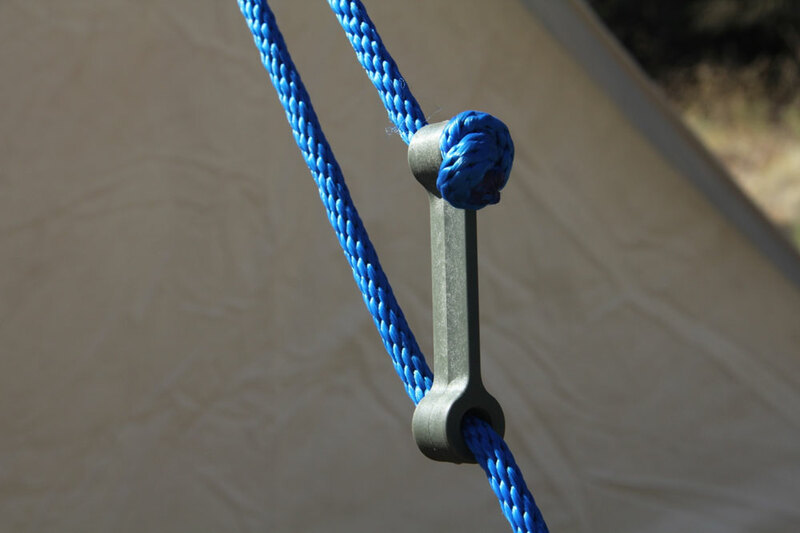 To keep the floor secure and in place, it is attached to the outside stakes via tubular webbing loops through the heavy brass grommets. This is one of those, “why didn’t I think of that” solutions. 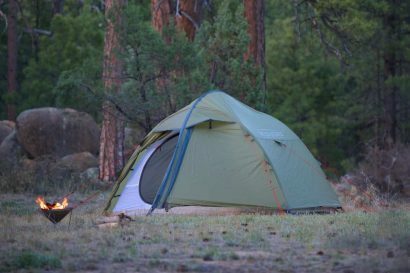 The perimeter of the tent is constructed of reinforced nylon with an internal skirting to fend off the ingress of wind and water. 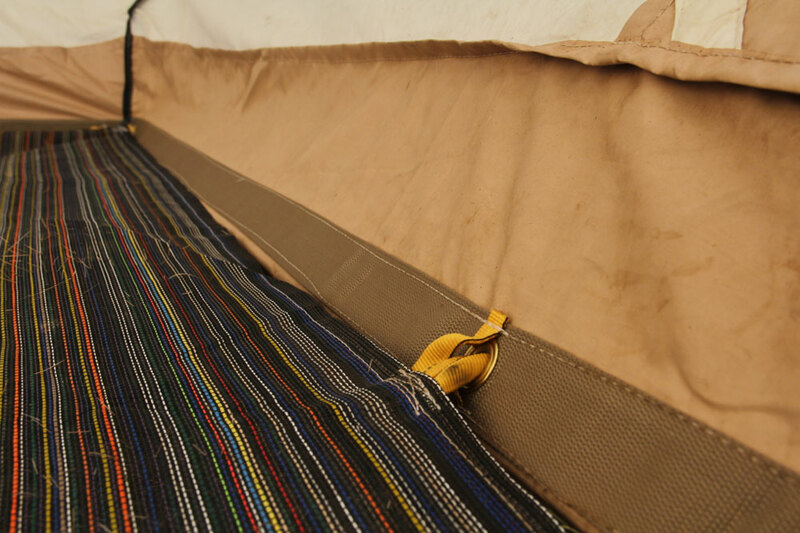 One of the inherent challenges with any tent made of such robust materials is keeping it taut and not saggy and sad. Much of this is about properly proportioned panels, but it’s really about proper attention to guylines. 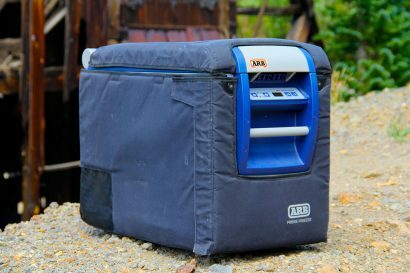 The Torrent features heavy duty guyline adjusters and all anchor points are able to withstand the heavy loading required to keep the tent tight as a drum. 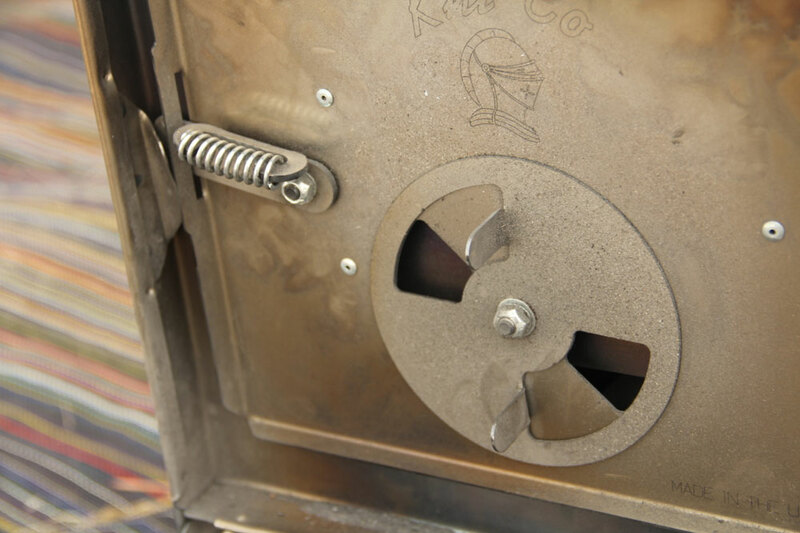 For our recent trip, with temperatures approaching freezing, we took David’s advice to fit the tent with a Kni-Co Manufacturing wood burning camp stove. It was heavy, dirty, moderately awkward to assemble, and without question––worth its weight in gold. 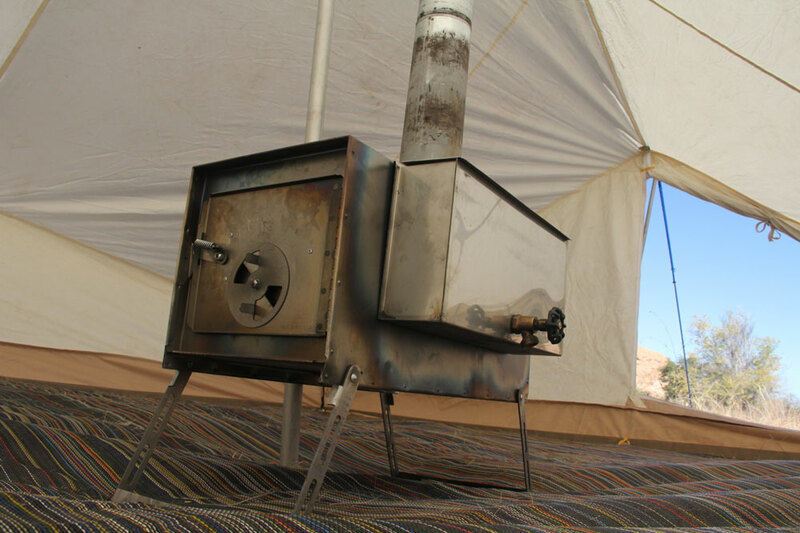 The most impressive feature of the stove was the stainless steel water tank fitted to to its side. Stoutly built of 20 gauge stainless steel, it warmed 2 gallons of water quickly and the heavy duty spigot made accessing that warm water a snap. 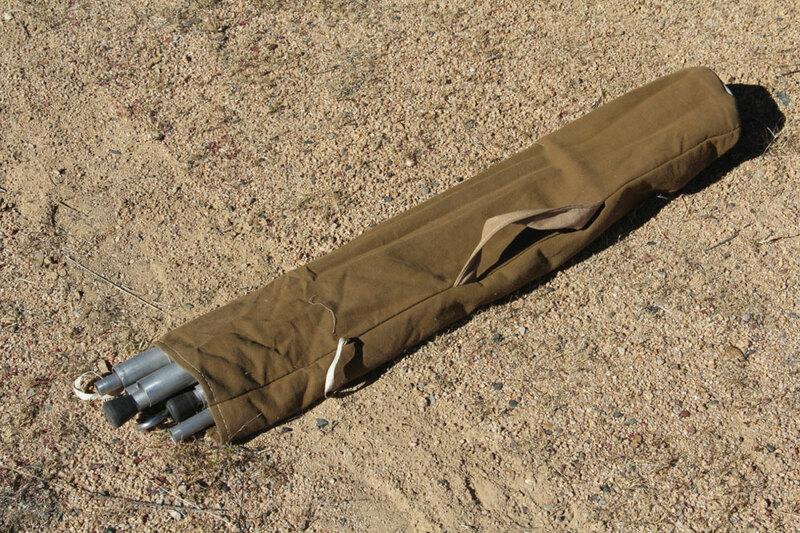 When it came time to strike the tent, I had no trouble at all extracting the poles, organizing the guylines and preparing the tent to go in the bag. 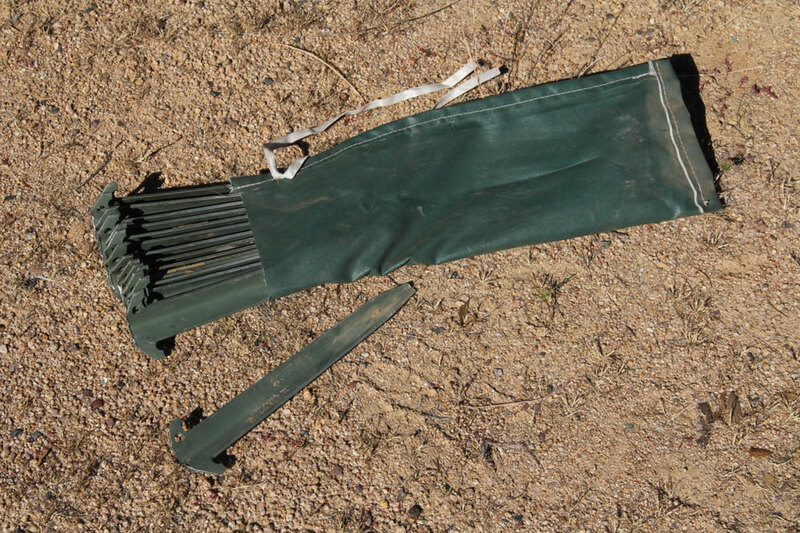 It took only 17 minutes to have the tent rolled in a small bundle, much of that time was spent extracting the stakes from the ground. The task of getting the tent in the bag was a different story. It was a full body workout getting the tent in the compact bag, but I eventually won. I think the bag could stand to be roughly 10% bigger, but that’s a tiny grievance and would not make the packed-size so outstanding. 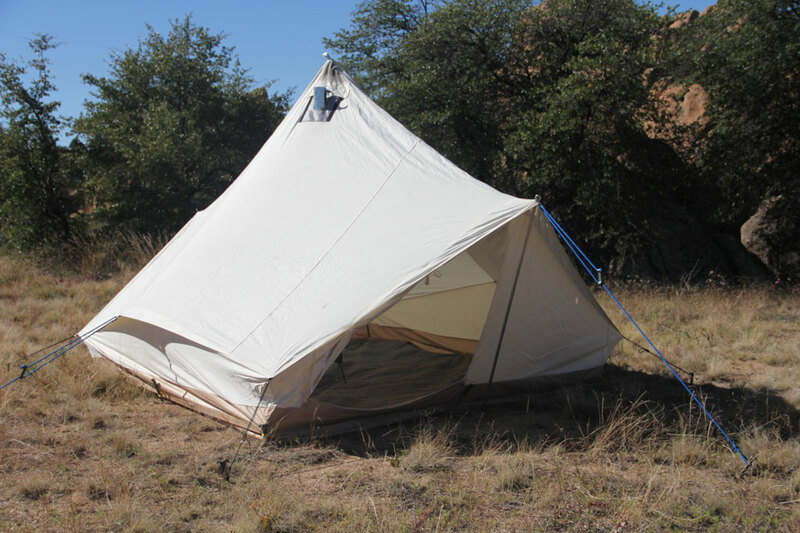 On the whole, Dave Ellis has created one of the best canvas tents we have ever used. 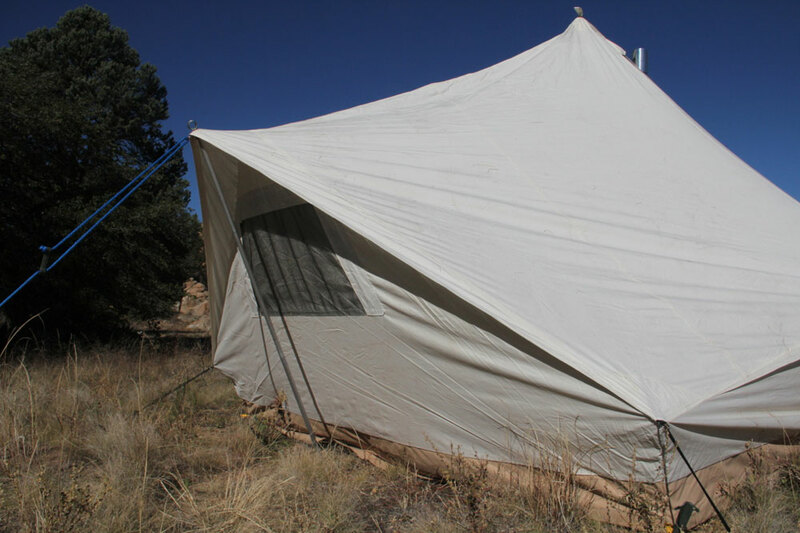 Robustly constructed and thoughtfully designed, it’s no wonder his tents are so highly regarded. At a shade over $650 for a 6×8 Torrent with a detachable floor, it’s also a fantastic value.